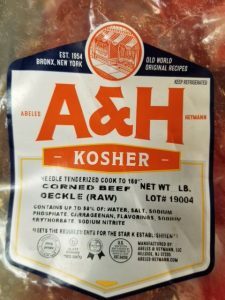 A box of Non-Kosher-for Passover Pickled Deckle from A & H sold at East Side Kosher Deli was discovered. 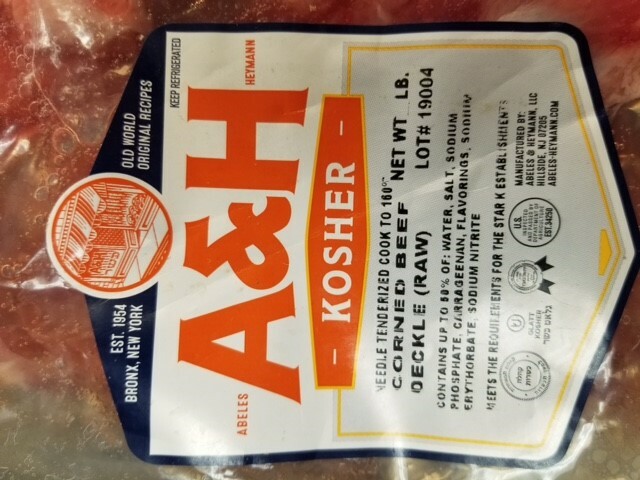 If you purchased a pickled deckle from the East Side Kosher Deli, please ensure there is a P above the OU certification on the A & H label (not on ESKD label). 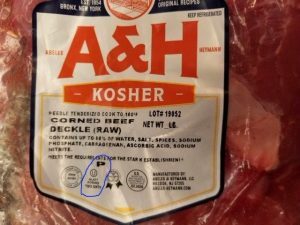 Please see photos below for label samples. If you have purchased one, please return it to the East Side Kosher Deli for immediate refund or exchange. 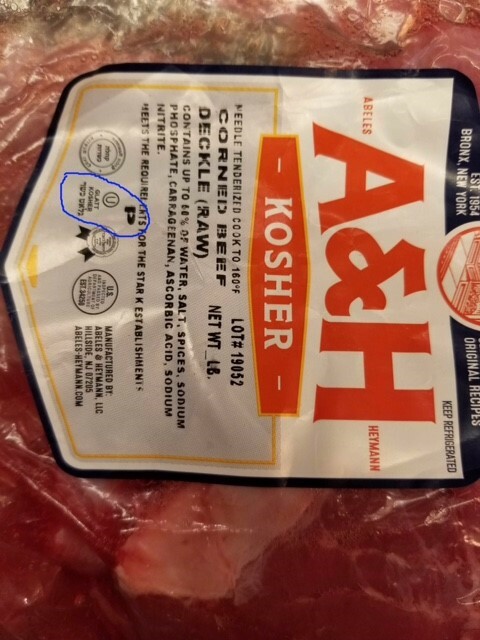 Because errors like this do happen, consumers are advised to check certification carefully to ensure that the item is, indeed, Kosher for Passover.